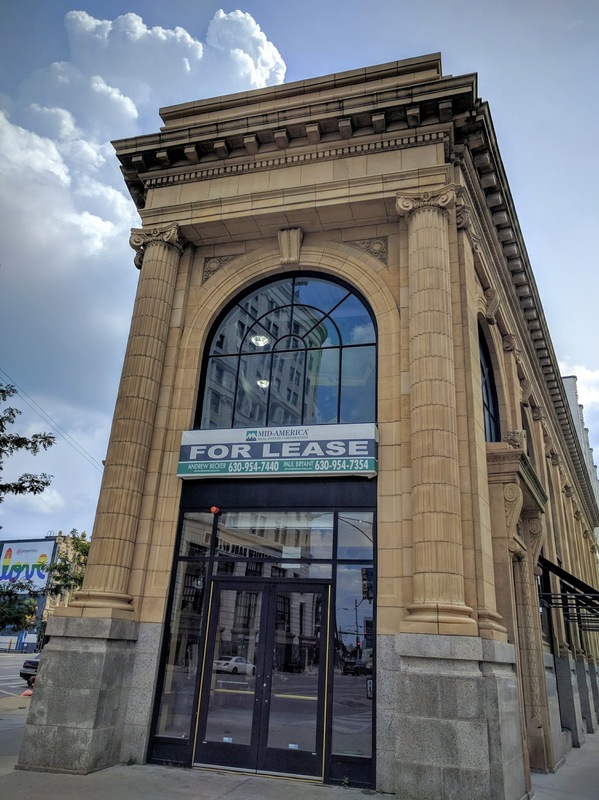 We had some potential good luck when we shared the listing for the restaurant space at 1325 W. Wilson recently, so we decided to do the same with this space, right in the heart of the Uptown Historical District. First Ascent Climbing Gym moved into the top floor of the former "Borders" building at Broadway and Racine but the street-level space is in need of a restaurant tenant. This would be the ideal location for a restaurant since an outdoor plaza will be right outside once the Broadway streetscaping begins. Our personal wish is for a brewery/pub. If you know any restaurateur looking for a space to spread their wings, please share this far and wide! The listing agents are Andrew Becker and Paul Bryant at Mid America Group. How about an Italian restaurant on the level of Francesco's something lacking in the neighborhood or a grocery like Trader Joes with a cafe inside. Anything but Mexican, please. Too much of that already. yes, not sure we need another brew pub, but about any other kind of restaurant would be great. I think a brewpub would be great! There aren't any places I was consider brew pubs in the surrounding area of this location. Brew·pub: an establishment selling beer brewed on the premises and often including a restaurant. How about creating really high end loft condos on the second floor, especially since the old Weibolt's space has already become loft condos? Let's face it, we have a glut of retail everywhere in this country, and a restaurant would scarcely need both floors. It is highly unlikely that any large retailer will ever want this space again. There is a large market for unusual luxury living spaces in Uptown and three immense two story luxury lofts could be carved out of the second story. The second floor is home to First Ascent climbing gym. Im sure Walgreens will make it a corner of "Happy and Healthy..."
Poor deluded "Crazy in Uptown," filled with rage and booze. Not getting that coveted Chief of Staff position with Molly Phelan still rankles, doesn't it? A little history lesson. Try to follow. Borders announced it was closing all its stores in February 2011. Golly, who was the alderman then? Lemme think, lemme think. It was Mary Ann Smith. Borders was in the 48th Ward. 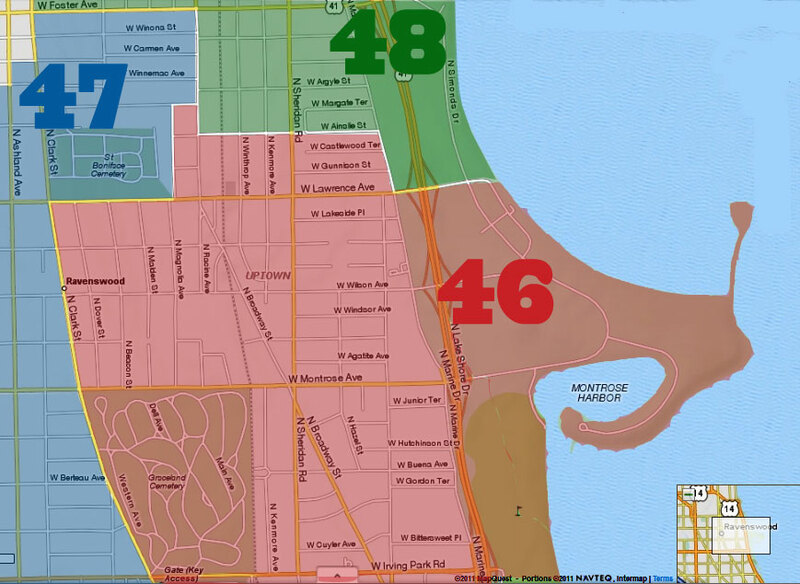 In the 2015 redistricting, the building became part of the 46th Ward. In 2016 the second floor was rented out to First Ascent. So explain why this is all "Cappy's" fault again? Bitterness is so unbecoming. 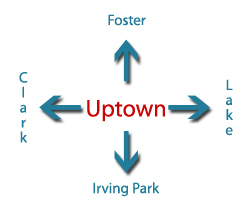 When in the last 30 years have all the Uptown storefronts been filled?